Mr. Bogale has been working in Ethiopia, and has developed a carbonizer that would allow a small land-holder to make charcoal out of agricultural residues and then dry and package that charcoal either for their own use, or for sale. 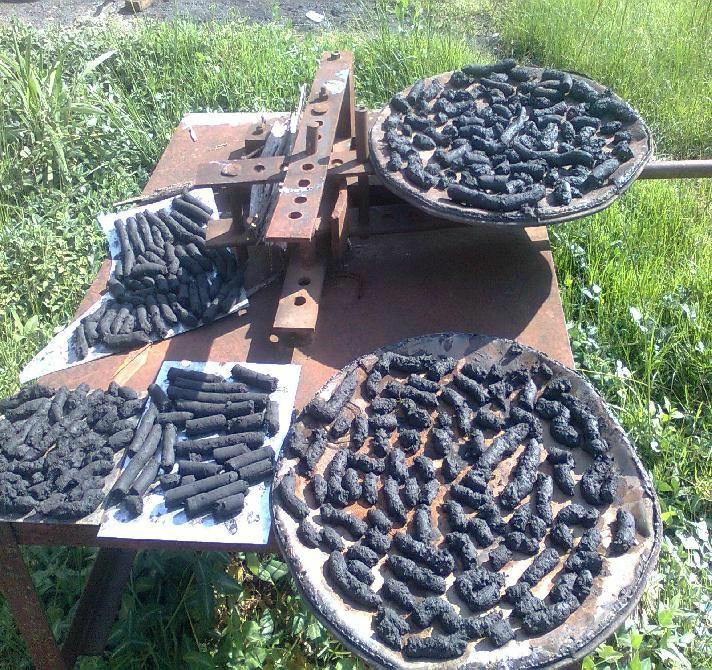 Background: Wood charcoal has been the primary fuel for cooking in Ethiopia because it is cheap and easily avialable.However, using wood charcoal has consequences on health and pollution because of smoking. This study aims at providing a biomass as an alternative to wood charcoal using agricultural wastes (dry leaves, coffee husk, sugarcane trash, grass, etc) converted into charcoal briquettes to provide much needed source of cheap fuel that is cleaner in burning. charcoal.Moreover, an effective carbonizer to change the agricultural waste into charcoal and an effective stove to burn and use the charcoal for cooking is used. Results: The manual extruder machine has a capacity of pressing 30kg/hr and the carbonizer converts 15kg of input agricultural wastes into 5kg of burned charcoal with in 25 minutes. The stove is effective so that three meals are cooked at a time using 100g briquette charcoal. Conclusion: As compared to wood charcoal the charcoal briquette produced from agricultural wastes are economical, environmentally friendly, healthy (no smoke at all) and reduce impact of deforestation.